This real event happened in 1995 and has been covered up since, after the broadcast in October 1995 the video has suddenly disappeared and the witnesses have probably been manipulated to remain silent on this event. Only three images have surfaced. The images were broadcast by Russian TV in October 1995 and show the landing of a huge extraterrestrial spacecraft that took place right in the suburb of Ostankino, which is located in the suburbs of Moscow. 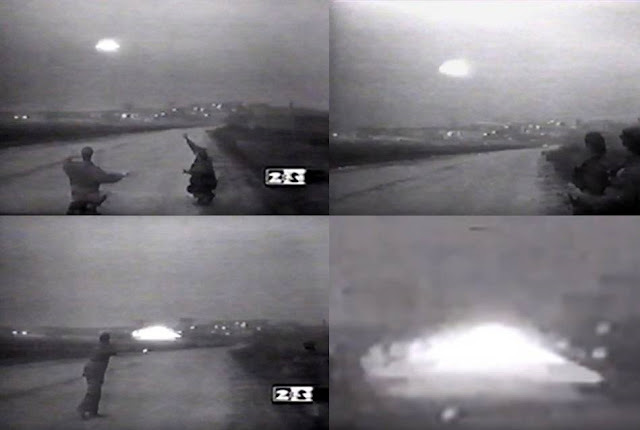 In the 3 photo sequences, which should be part of a video, you can see 2 people, presumably of the Russian military, who closely observe the landing of the alien aircraft. After investigations UFO researchers both Russian and European have came to the conclusion that the flying saucer landed just to avoid the shots of Russian anti-aircraft artillery. Then later, the UFO would emerge some self-luminous beings with “non-hostile” intentions, badly interpreted by Soviet military personnel, who in turn would have responded by firing a few machine-gun blasts. In response to the Soviet fire, from the alien hull would have been issued energy impulses that would have put out of use the weapons of the Russian military. From the analysis carried out on the sequence of images, the researcher Carlo Clemente describes the UFO, as an enveloped by an energy field and with a diameter of about 15-20 meters. 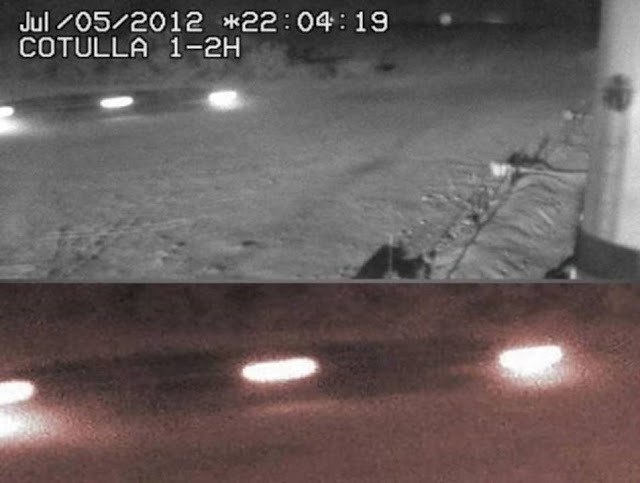 The same Carlos Clemente, compares the images of the TV Ostankino with the case of Cotula (Texas), where in the night of July 5, 2012, a surveillance web cam of a private condominium located in the Eagle Ford area, records the landing of another UFO.